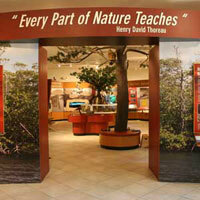 November offers a whirlwind of events in Martin County, Fla., home of Floridays RV Park. Let’s take a look at what our guests can look forward to in Hobe Sound and the Treasure Coast. Another 3rd Saturday Gourmet is November 17 from 5 to 9 p.m. in downtown Hobe Sound. This fun, family, pet-friendly event features about 15 different vendors including unique food trucks from all over south Florida and local crafters. 3rd Saturdays continue in Hobe Sound monthly through May. Event is sponsored by the Hobe Sound Chamber of Commerce. If you’re a current guest of Floridays’ we wish you a safe, joyful and happy Thanksgiving and Christmas season. If you are thinking of a place to spend the winter in our little piece of Paradise, there’s no better place to spend a good old-fashioned holiday season than south Florida. My wife and I have been coming to Floridays for eight seasons. We love this Park. It is in the small town of Hobe Sound snuggled comfortably between Jupiter and Stuart on the east coast of south Florida. Each RV site is quite large with a cement patio and driveway with 50/30 amp service. The Park has a beautiful brand new handicap-friendly bathhouse and laundry facilities. The manager George is very friendly and helpful. He also has a BYOB Tiki Bar at the back of his house/office and most afternoons Happy Hour is enjoyed there and on special event days there is usually a potluck-style dinner. The world-famous Jupiter Island and its beach is just two miles away. There are excellent and safe trails and roads for running and biking enthusiasts. The local stores include grocery, banks, gas, hardware, many fine resturants and of course thrift stores. All the major shopping facilities are within twenty minutes. We would recommend Floridays RV Park to anyone that likes enjoyable camping without the hassle of big city life and traffic. It’s that time of year when our hearts and minds turn to the high holidays of Thanksgiving, Christmas, New Years and what we call around these parts, “High Season”! If your RV lifestyle is happening now at Floridays or anywhere in Martin County, or if your’e “on the road” planning to pass through Martin County, we thought you’d like to make a note of a few upcoming events in Hobe Sound and nearby. 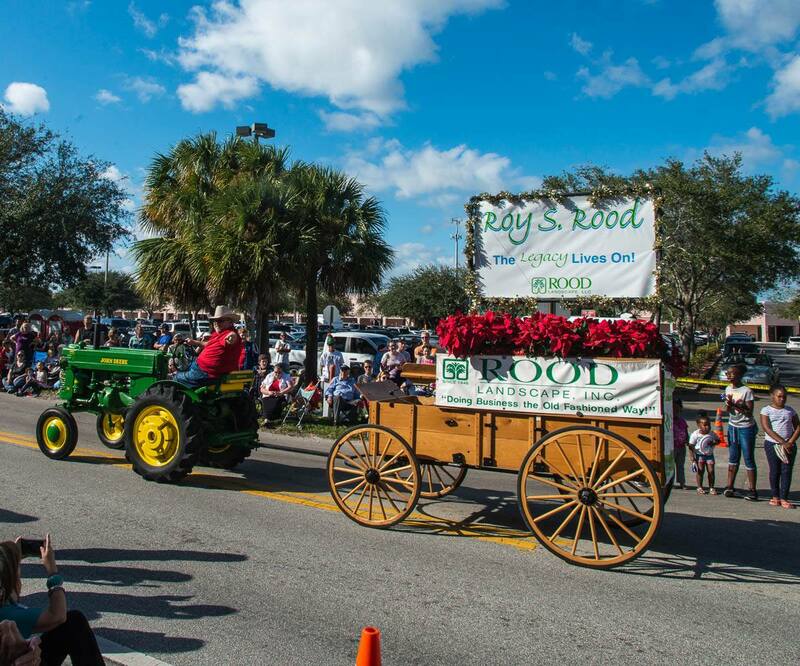 Grab your lawn chair and line the street on Old Dixie Highway or Bridge Road to watch over 80+ entries and thousand of adults and kids strut their stuff with cars, floats, trucks, marchers, bands and surprises. This genuine old-fashioned Christmas parade and Art and Crafts Stroll along Dixie is a great opportunity to get in the holiday mood and do a little early Christmas shopping. Hobe Sound—Shh! Don’t Tell Anyone! Those of us who work and live in Hobe Sound like things just the way they were yesterday. Somehow, this sleepy town has been able to restrain growth, keeping this small piece of Martin County nostalgic of Old Florida. 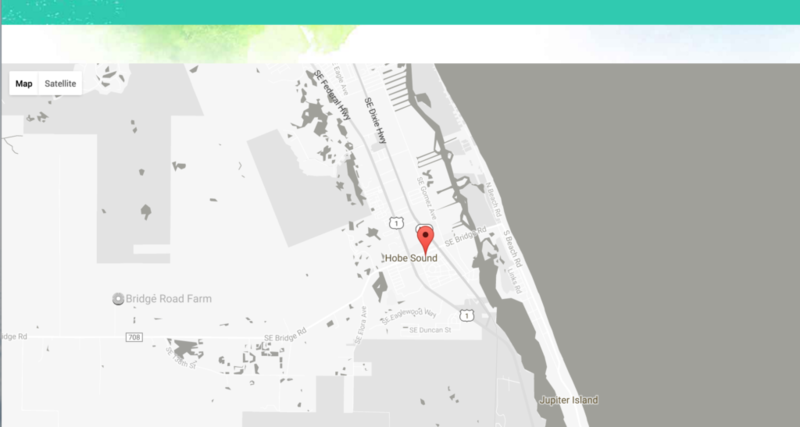 The folks at Discover Martin have recently released a new video with a focus on Hobe Sound. Unique in so many ways, Hobe Sound sits in the most environmentally sensitive area of southeastern Martin County. Here you can discover an understated elegance. With its collection of antique shops, funky eateries, art galleries, and nature parks, Hobe Sound embodies the definition of small beach town charm. It’s a long video—over 20 minutes—so pour a cool one, lean back, and take a chair side tour of the place Floridays calls home. We’re a bit biased, but our new bathroom and laundry facilities at Floridays aren’t the only good news for Hobe Sound RVers this winter of 2017. 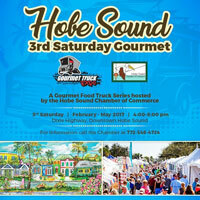 3rd Saturday Gourmet offers unique food trucks from all over south Florida and local craft vendors in downtown Hobe Sound every 3rd Saturday from January through April from 4:00 to 8:00 p.m. along Dixie Highway. Hosted by the Hobe Sound Chamber of Commerce, this fun and festive event allows you to peruse the local shops and vendors located on Mars and Apollo Streets as you struggle to decide which food truck will satisfy your hunger pangs. Pets are welcome, and the Hobe Sound Veterinarian Clinic will even have surprises for your furry friend. 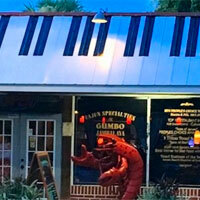 Crawdaddy’s N’awlins Cafe & Raw Bar and French Quarter is serving up a week-long festival in downtown Jensen Beach. If you love N’awlins food, live music, costumes, and purple, gold and green flags, Crawdaddy’s is the place to be from February 23 through the 28th. If you missed the Hobe Sound Art Festival in early February, you can still get your art vibe on up the road in Stuart on the weekend of February 25th and 26th for the Stuart Art Festival. 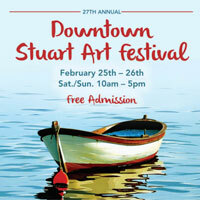 During the Festival, Stuart comes alive with on Osceola Street in Stuart’s historic downtown area. From art, to sculptures, jewelers, and photography, it’s a great way to meet the artists, sample scrumptious food, and explore this amazing seaside town. Check it out! If morning hikes along waterways, through swamps and wetlands, sand dunes and hammocks are your bag, check out the Hobe Sound Nature Center’s events schedule. For the less adventurous, the curious may be interested in the Thursday Lecture series. For most events, reservations are not required. There are even sedate programs offered at area libraries and some interesting volunteer opportunities to check out. Martin County is brimming with activities for the spring season, so be sure to follow our Facebook page where we’ll post other local events and goings-on around the county and here at the park.